Home - Ready Seafood Co.
Ready Seafood is a family owned business founded by John and Brendan Ready, located on the working waterfront of Portland, Maine. John and Brendan grew up as lobstermen and have great respect for the ones who work the sea. Today, John and Brendan have transitioned from harvesting lobster to operating one of the largest wholesale lobster companies in the industry. We ship hundreds of thousands of pounds of lobster around the world every week. Ready Seafood's business model is based on quality, traceability and sustainability. No one else can link specific harvesters with end customers around the world the way we can. We are proud to know where each lobster comes from, as this ensures our customers receive the freshest lobster possible. 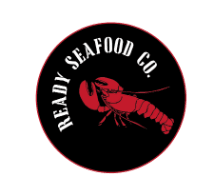 The Ready Seafood Team looks forward to working with you! At Ready Seafood, quality is our top priority. We have developed a unique two-tank one tank system so our lobsters are only handled once before shipping. Years of experience have taught us that our method significantly reduces stress on our lobsters and ensures that our our customers receive only the freshest lobster possible. The lobster fishery in Maine is a model for sustainability worldwide. Landings in Maine continue to increase year after year. The Marine Stewardship Council has certified our fishery as sustainable. We are the only seafood company in the United States with an on-site marine biologist working on projects across the region to improve our understanding of the lobster resource. At Ready Seafood we are proud to be part of an industry that cares about the next generation. We purchase all our lobsters from independent harvesters at multiple buying stations in Maine and Canada. Every crate we buy is marked with the name and catch date of each harvester to ensure traceability throughout the supply chain.